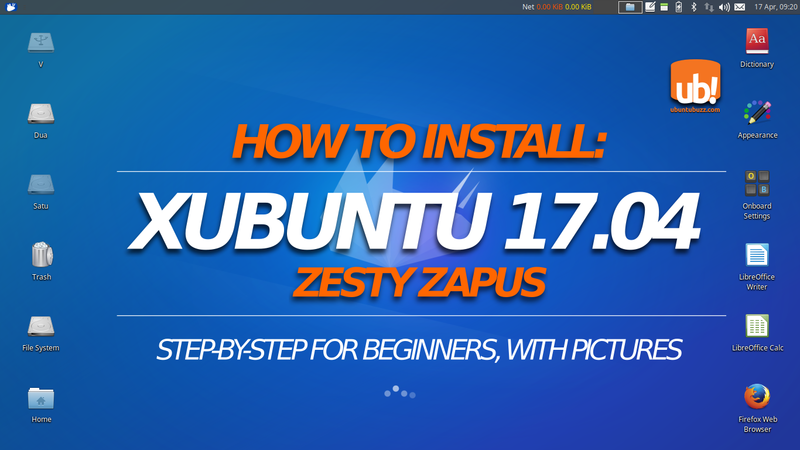 This tutorial guides you to install Xubuntu 17.04 in step-by-step. You'll prepare 2 blank partitions first (20GB for main, and optionally 1GB for swap) nad use a USB flash drive as bootable media. You can apply this tutorial either for singleboot or dualboot mode. Total time needed for installation is only around 10 minutes (including all firmware & drivers). 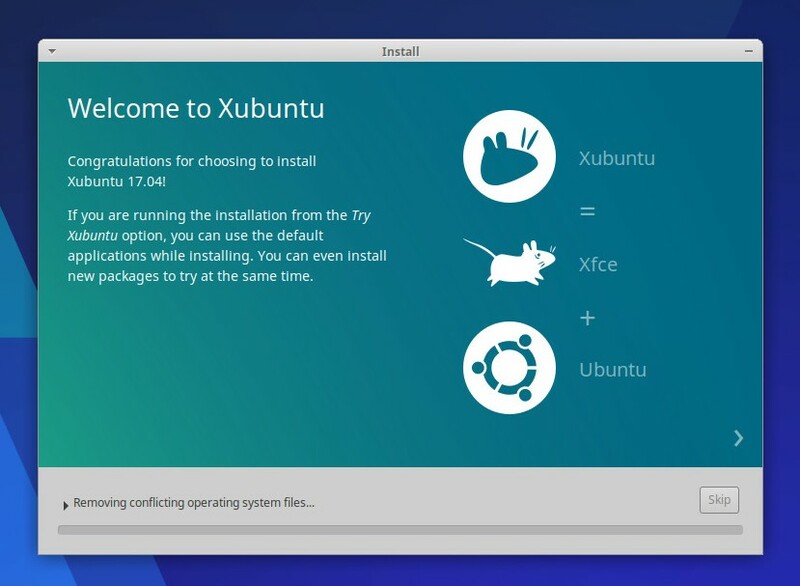 I hope this tutorial will be easy for any newbie and soon everyone can feel how joyful Xubuntu is. Happy installing! Note: this article is about installing. 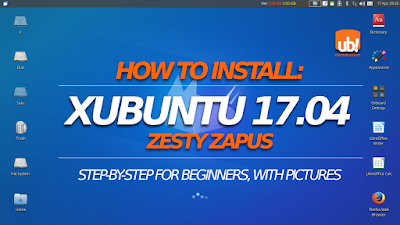 If you're looking for something else, we have Xubuntu 17.04 review, complete 17.04 family download links, and zsync to cut download cost. Get Xubuntu 17.04: you can download it from this link. It's about 1.2GB for 64bit and 1.3GB for 32bit. Create 2 blank partitions: you need one blank partition at least 20GB, and (optionally) a smaller blank partition 1GB. First partition will be main, and second one will be swap partition. It's better to prepare them before the actual installation. Create bootable media: burn Xubuntu image into a USB drive using Unetbootin (available for Windows) or Disk Utility (Ubuntu built-in). I choose USB drive because it's cheaper than DVD but it's up to you to use DVD instead. Backup: if you would install Xubuntu in dualboot mode with another OS, make backup for your important data. Example: I prepared my /dev/sda4 70GB as main partition, /dev/sda3 2.5GB as swap partition, and /dev/sda as the bootloader location. Note: the main partition I prepared was containing Ubuntu 17.04 (as you can see below) and I decided to wipe it. 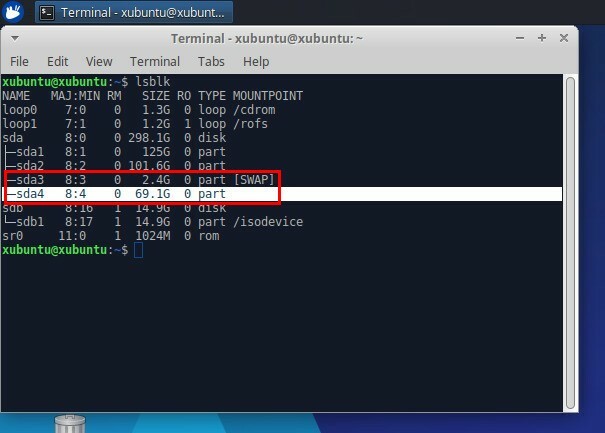 Boot your computer into bootable media and you should enter Xubuntu Live Session. 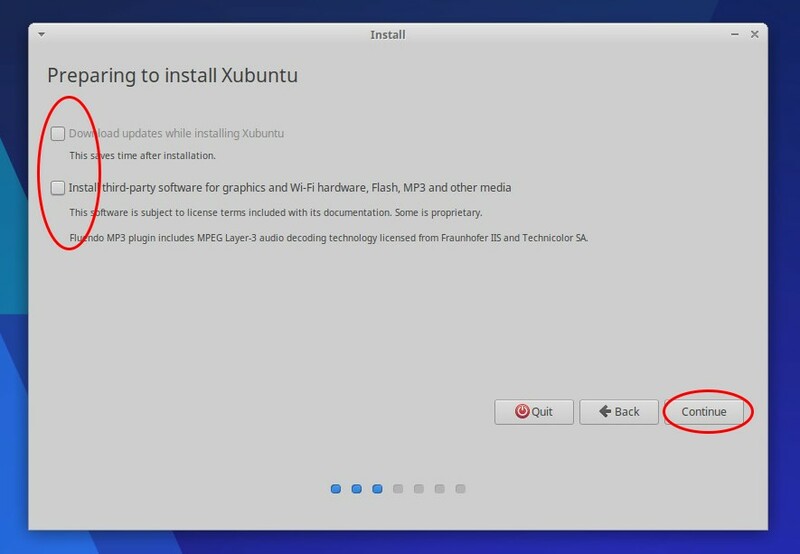 From this point, select "Try Ubuntu" and run the icon "Install Xubuntu 17.04" from desktop. First step: choose a language. This determines the whole user interface language later. Choosing English is safe. 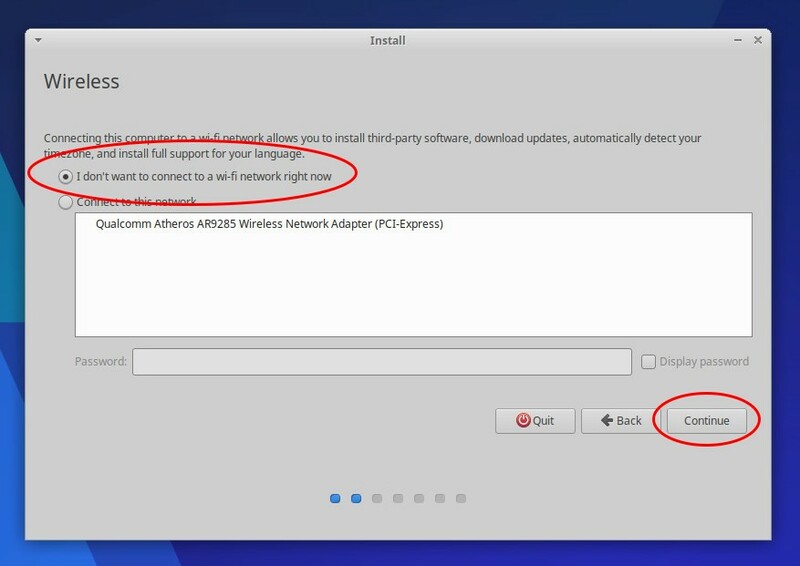 Second step: choose "I don't want to connect..." so the installation will finish quicker. Third step: blank all choices on downloading/installing third-party programs. You can do anything like this after installation. Fourth step: choose "Something else" to enter full-control partitioning. Fifth step: on the advanced partitioning screen, choose the first blank partition you've prepared (in my example: /dev/sda4 70GB) > press Change button > on the Edit partition dialog determines Size=<as is>, Use as="EXT4", Format partition="check on", Mount point="/" > OK.
Sixth step: still on the advanced partitioning screen, and this is optional, select your second blank partition (the smaller one) > press Change button > on Edit partition dialog set Use as="swap area", Format this partition="check on" > OK. Seventh step: select the location of the bootloader. It's typically the parent disk of your main partition. See picture below for example, my main partition is /dev/sda4 so the parent is /dev/sda and I select this parent as my bootloader location. The partitions always have number on each of their name (/dev/sda1, /dev/sda2, etc. ), while parent doesn't (/dev/sda, /dev/sdb, etc.). 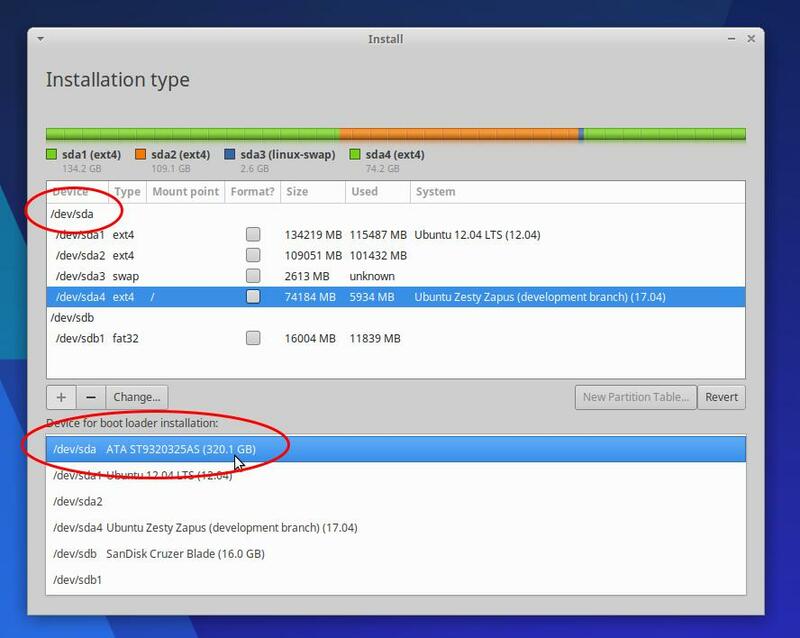 Eighth step: after determining all partitions, make sure all choices are correct, and then press Install Now. Once pressed, the actual installation begins and you cannot go back. Geolocation: select your geolocation. This determines your local time/date, your currency, and local formatting. 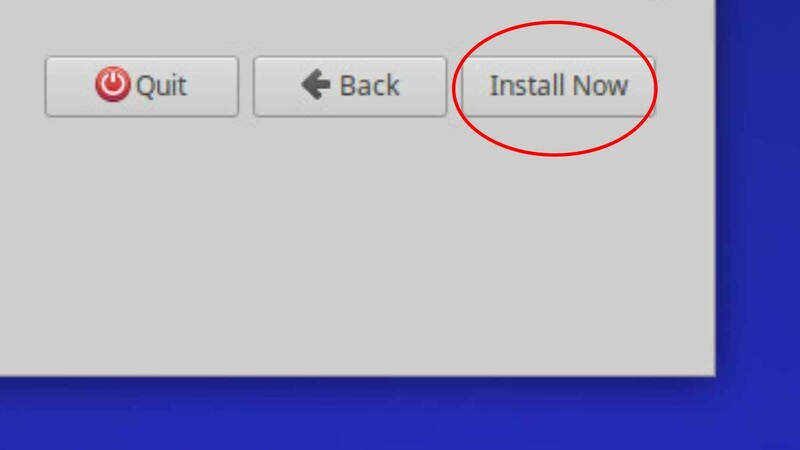 Yes, you can also change this after installation. Keyboard layout: select your preferred keyboard. 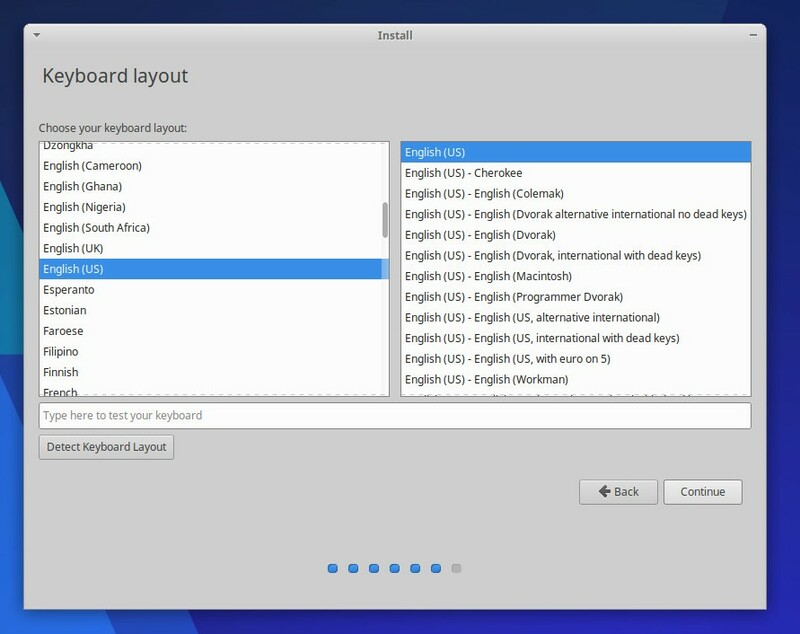 Xubuntu offers Japanese, Chinese, Russian, Arabic, and many more layouts if you need. However, default choice is safe. Username: determine your own username & password here. 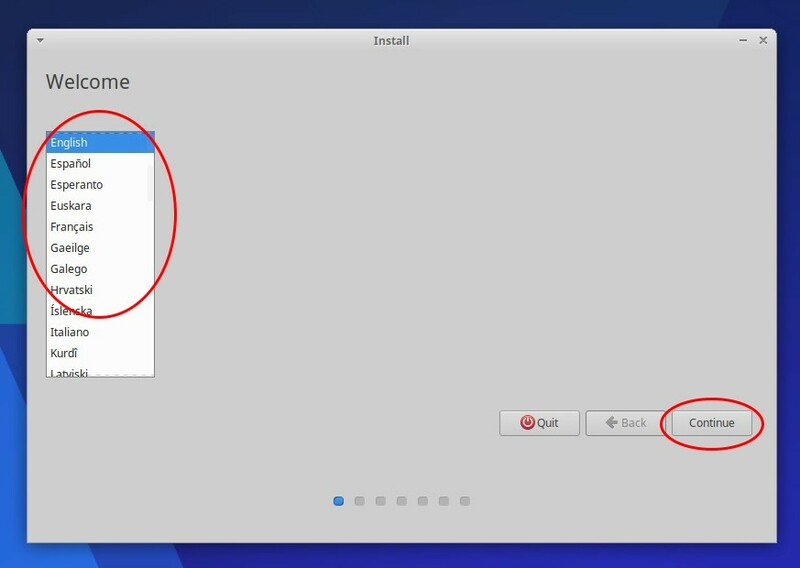 Tenth step: after entering all user info, you'll wait Xubuntu System Installer to finish its job. While waiting, you'll served with a gorgeous slideshow introducing Xubuntu. This should not take more than 15 minutes. 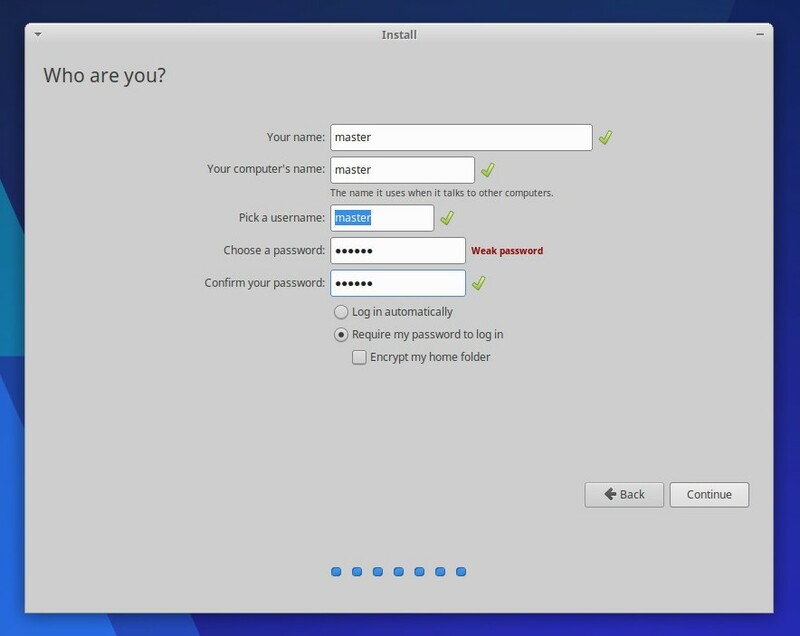 After 10-15 minutes total time of installation, you'll see Installation Complete dialog. This means it's finished and you can enjoy Xubuntu right now.